There’s no doubt that we’re forever indebted to our gadgets and gizmos in helping us through our day-to-day tasks. Whether it’s a smartphone, tablet, notebook or computer, most of us utilize one – or a combination of a few – of the above in order to get things done. As such, battery drainage is a formality, and over time, of course, batteries get progressively worse. At times, it feels as though the more you need the device at any given moment, the more frequently the battery warning sound/message/light nags at you, taunting you as you desperately try to make that call, send that important e-mail, or, for the less productive, save and exit that level. As consumers of electronics, we all have our own ways of conserving battery, and make provisions in order to ensure we aren’t let down by lack of juice. From in-car chargers, to battery packs, to turning off data connections wherever feasible, it seems we are in constant battle to wool-wrap our prized inventory of digital tools. Whilst turning off certain functions is a good, bread-and-butter way to save battery, it can turn owning a digital device into a bit of a mollycoddling experience. 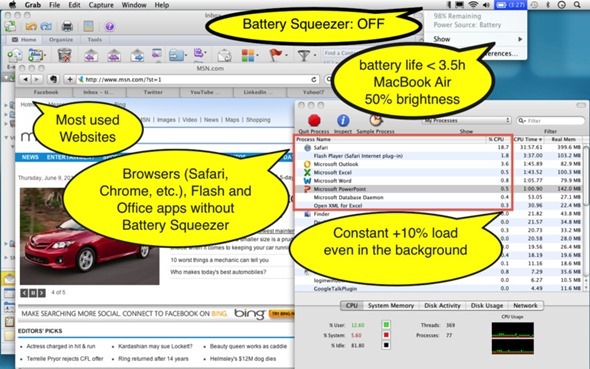 BatterySqueezer for Mac (or more specifically, MacBooks) siphons away a little juice for a rainy day by automatically throttling backgrounded applications – preventing them from causing unnecessary drain while passive. 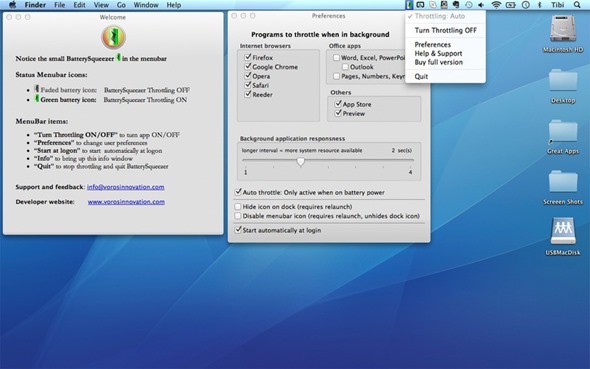 It sits quietly in the menu bar, and by default, will simply throttle your web browser when in the background. It will also readily gobble resource hogs like Office, iWork, the Mac App Store, and Preview – should you choose to let it do so. Great, in theory, but the real downside to BatterSqueezer is realized when you try and return to an app you had open a little while earlier. Since BatterySqueezer is preserving your battery life rather than optimizing apps’ responsiveness, it sacrifices the latter in order to achieve the former. So, although it may slow you down a little, the potential battery saved in the long haul could wind up being invaluable. 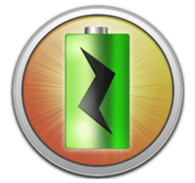 BatterySqueezer costs $3 over at the Mac App Store (link at bottom of post), and you can also try out the free version before you part with your hard-earned. Famous iOS Customization App “Pimp Your Screen” Lands On The Mac – Download Now!